ESPN continues to get buffeted by the cable headwinds. According to USA Today, up to 300 ESPN employees are facing layoffs by their parent company, Disney. The sports network has been battling rising programming costs, increased licensing fees and sluggish advertising sales as viewers increasingly ditch cable for streaming options. Plus, many viewers are tired of ESPN's on-air shtick. The under-thirty generation has neither the interest (or ability ) to pay $180 per month for channels they don't use nor the patience to wait for scheduled network programs. As for sports programming, many have an interest in sports but prefer to purchase their entertainment 'on-demand'. They are very practical with their entertainment dollars and cable is one of their highest discretionary expenses - outside the indispensable smartphone. When money is tight, cable goes. Underneath all this, there is a cultural issue at Brisol headquarters that is also contributing to ESPN's problems. There is an arrogance and self promotion at ESPN as on-air talent fight for attention and air-time that is frequently unwatchable and undeniable. Do we really have to watch more promotions featuring sports stars stumbling into on-air talent at the ESPN headquarter's cafeteria, offices, and driveways? They have been dumping on-air talent for months - Bill Simmons, Colin Cowherd, Keith Olbermann (addition by subtraction) to name a few. But that only scratches the surface. College Gameday football coverage is fine with Rece Davis and Kirk Herbstreit but Lee Corso is unwatchable. Viewers are lectured and 'informed' by experts Jay Billas (Basketball) and Tim Kurkijan (Baseball) because they see all the things we can't possibly see or understand. And if that is not enough, we get fed 'story lines' from Mel Kyper, Herm Edwards, and Merrill Hodge with their 'inside' NFL knowledge. And bonus coverage, too - Sal Paolantonio (Sal Pal) providing exclusive coverage of the EAGLES. Why, Why, Why - the Eagles haven't done anything since forever. And Barry Melorose...hockey and used cars anyone? Finally, there is Chris Berman who is both expanding and disintegrating before our very eyes. No wonder ESPN is starting to take on water. Fox Sports is picking up some of the pieces and so is the NBC Sports Network but it is clear that the pie is not expanding - and will contract until the networks sort out 'on demand' and de-bundling cable offers for viewers. It is just a matter of time. 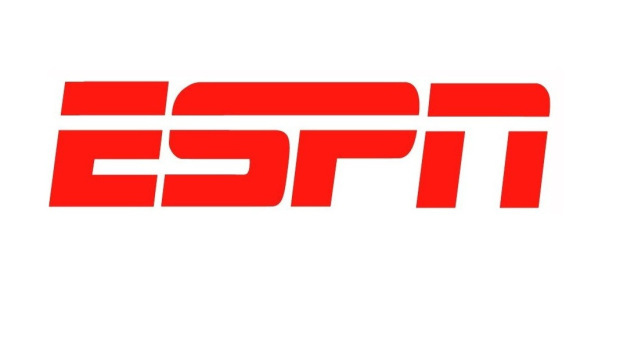 Do you believe the ESPN culture is a major part of the problem or do you believe that the changes at ESPN are spurred because of inevitable changes to the current cable model? Live sports is still important to people, and until the streaming model allows big games to make bundled cable obsolete, ESPN still has a strong presence will all the rights to live sports that it owns on its major properties. Cable-cutters may force them to shed some of the empire, but I don't see them going away anytime soon. DU may benefit from a downsized ESPN, as major colleges (Power 5 conference schools) may see less money/payouts and will in turn become more competitive with mid-majors like DU in the arms race of college sports.